The term Data Scientist is in vogue right now. Let’s explore Data Science, what key skills make a data scientist and how SAS’ Academy of Data Science may help advance your career. The term "data science" (originally used interchangeably with "datalogy") has existed for over thirty years and was used initially as a substitute for “computer science” by Peter Naur in 1960. Some of the spicy definitions exist over the vastness of the internet which includes the one by Malcolm Chisholm: “There’s a joke running around on Twitter that the definition of a data scientist is ‘a data analyst who lives in California’” . There are websites like Big Data Made Simple which compiles more than 10 definitions of Data Science. Big Data Management Skills which includes managing technologies and techniques responsible for data capture, transfer, storage, and data processing for analytics. The skills encompasses knowledge of Data Management products, Open Source like Hadoop and their integration with each other. Analytical Skills which includes ability to analyses the data with speed and accuracy. Typical skills include knowledge of machine learning techniques (supervised and unsupervised), skills in data mining including predictive modelling, pattern recognition, experimentation and optimization. Business Visualization Skills includes ability to showcase results to the business audience enabling them to take timely and correct decisions. Typical skills include knowledge of visualization products and domain expertise and skill set to lead analytical modelling results to actionable business insights. Communication Skills which includes ability to contextualize and decode a problem and its solution to interested parties of varying backgrounds using common ground, allegory, skillful listening, and storytelling. The area of big data analytics is not meeting demand – with a supply gap and a dearth of institutes who can provide industry ready work force with specific tool knowledge and skill set. Fortunately, SAS has created the SAS Academy of Data Science which, after years of hard work, is the world’s first Big Data Scientist program. The SAS Academy of Data Science attempts to provide these skill sets through a comprehensive Data Scientist course. It runs a Big Data Scientist course which is the first of its kind in the world and nurtures the above skill sets in an organized manner. There are two levels (with five international Certifications). Level 1: SAS Certified Big Data Professional covers SAS Programming, Introductory Statistics, and Data Management and Manipulation, Data Quality, Working with Hadoop, Hive and SAS, and Data Visualization. Level2: SAS Certified Advance Analytical Professional covers Machine Learning techniques including Predictive Modeling (Neural Nets, Forrest, and SVM etc. ), Experimentation, Optimization, Segmentation, Text Analytics, Communication, Deployment and Automation. A person who is able to finish both the levels would get the credential of SAS Certified Data Scientist. As this world of data science is dynamic and innovative, we promise to deliver the most relevant skill sets to the upcoming breed of data scientists. Learn more about SAS Certification and the SAS Academy of Data Science. No wonder there is a lots of demand across the globe. As per Mckinsey, by 2018, the U.S. alone may face a 50 percent to 60 percent gap between supply and requisite demand of deep analytic talent. The Centre for Economic Business Research(Cebr) forecasts that the uptake of big data analytics will create almost 70,000 jobs in the UK and 61,000 new jobs in Ireland, by 2017. This is supported by e-skills, the IT skills development organisation, which puts the figure at 69,000 new jobs for the UK. McKinsey estimates that for every data scientist, organizations will need ten data savvy managers with the skills and understanding to make decisions based on data analysis. Similar trends are available across the countries. In India as per the “TOI Exclusive: 23k jobs for big data analytics in Bengaluru: Report,” job market across India is seeing a 32.2% demand with people having analytics and data science qualifications over and above degrees in IT or business administration or even doctorates. This is six to eight times more than the demand for IT jobs that is 26.4% nationally. As per Accenture Analytics, 2016, Accenture Analytics, more than 90 percent of surveyed (sample included leading Indian and MNC companies across industries) said that they planned to hire more employees with expertise in data science—most within a year. 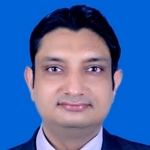 Sunil is a SAS Certified Data Scientist working as Senior Analytics Training Consultant at SAS. He has more than 14 years of experience in Academia and Industry in the area of Data Science. He has mentored many SAS clients across geographies including a wide range of SAS Technologies and SAS Solutions. Sunil resides in Mumbai, India. Thank you sir for important information. I wanted to know that,what is actual work for data analyst? 1) in which type data comes to compny. 2) how we analyse the data using SAS. (What will outcome. )plz explain by example. 1. Internal data source : including operations , marketing finance and HR data ..It may be stored in an internal data base and an ERP solution might collect it. It could be unstructured data in the form of internal memos , mails , MO-Ms etc.